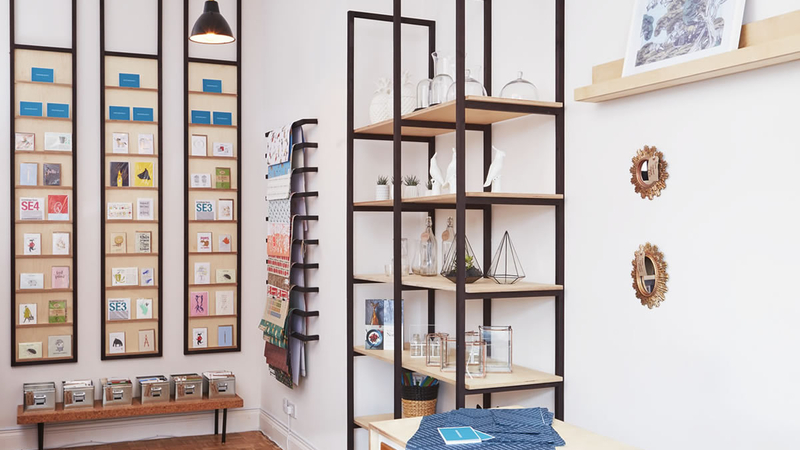 RYE was commissioned to develop and deliver the interior design for Honeybourne’s flagship store in South East London. The client stipulated that a design language should be developed so that it could be rolled out across a number of sites, concessions, and promotional stands as the company expanded. Using a limited palette of materials the design took its cues from the mid- century Ladderax system formed of prefabricated components resulting in a modular and cost effective design. Stained Ash and Birch ply shelves stand tall in the 3.5m store interior while other elements appear to hang from the ceiling exaggerating the height within the space.